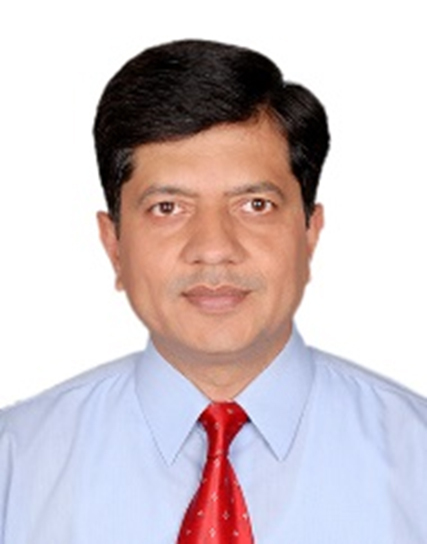 NEW DELHI: The Indian-Russian BRAHMOS missile can be integrated on submarines built by global manufacturers without much technological challenge and this has been validated by several of the submarine builders, BrahMos Aerospace Chief Executive Officer and Managing Director Sudhir Kumar Mishra said in an exclusive interview to Arming India. 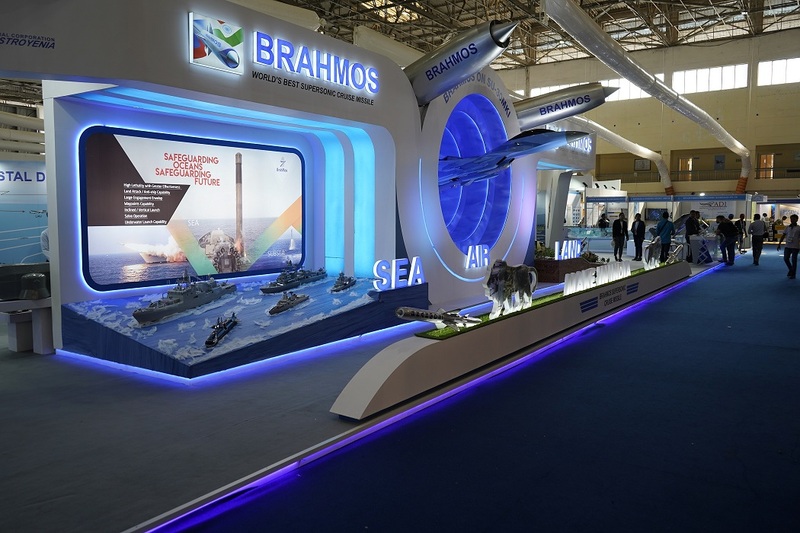 BrahMos Aerospace has already shared the integration data with French, German, Russian and Spanish submarines builders, apart from the Indian public sector submarine builder, Mishra said. This could mean India's Project 75I, the six second line of conventional submarines for which a Request for Proposals is awaited, could deploy this Indo-Russian supersonic cruise missile in the future, irrespective of the global submarine manufacturer that India could tie-up with for building these Air-Independent Propulsion capable vessels. 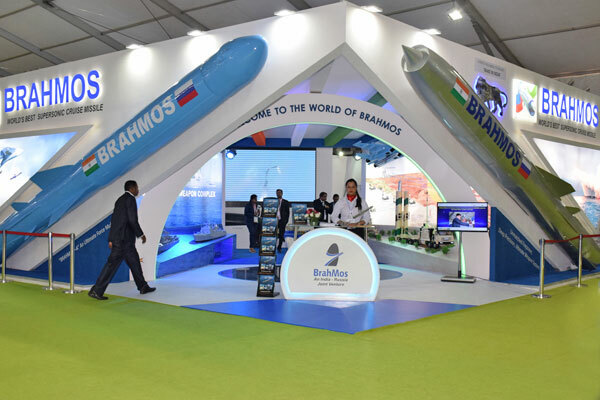 BrahMos is also readying to validate the air-launched BRAHMOS from an Indian Air Force's Sukhoi combat aircraft and the test could take place anytime soon, with the work on the missile set to be over next month. What is your order book? May, June and July 2015 have been very happy months for us. We got orders for six ships, both retrofit and new, which the DAC has approved. Defence Acquistion Council (DAC) has also approved the fourth regiment for the Indian Army. This in itself is more than a $1 billion order book. We already had orders until 2022. Now it means, we can live till 2027. It has extended by another five years, plus another 10 years of service. That is, minimum until 2036, we will survive, as we provide product support also. It has been an interesting, fruitful and rewarding months. The ships are Project 17A and the first three Talwar class guided frigates. 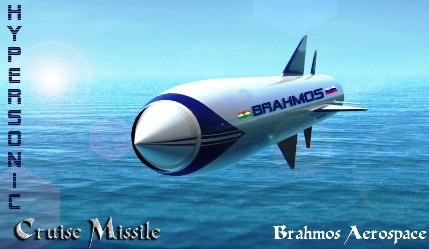 What about the submarine version of BRAHMOS? Has there been any development there? 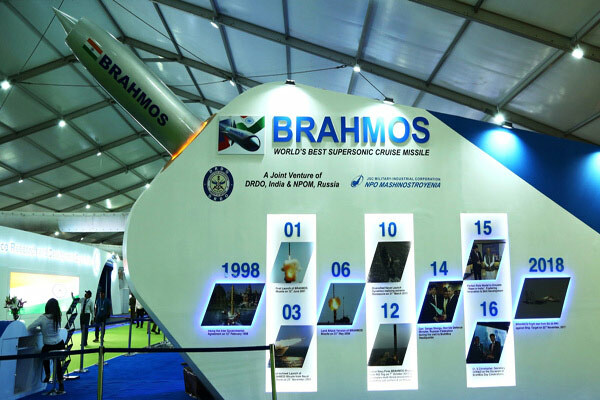 BrahMos Aerospace has demonstrated, by flight testing from a pontoon, that we have the capability to make a submarine-launched BRAHMOS also. Now, all of us know that a lot of submarines for our Navy are under-construction and are going to be constructed at several shipyards. The Indian Navy knows about the capabilities of BRAHMOS and I am sure they will consider fitment of BRAHMOS on some of their submarines. Because, BRAHMOS offers a unique capability. It is a cruise missile, can attack land targets or ships. I am sure that they are considering it and we are talking to several people. Yes, the services are having a lot of interest in submarine-launched BRAHMOS. It is a universal missile. We don't have any technical problems or challenges. We have already demonstrated it and it is ready to fit in. So, this is from our side. 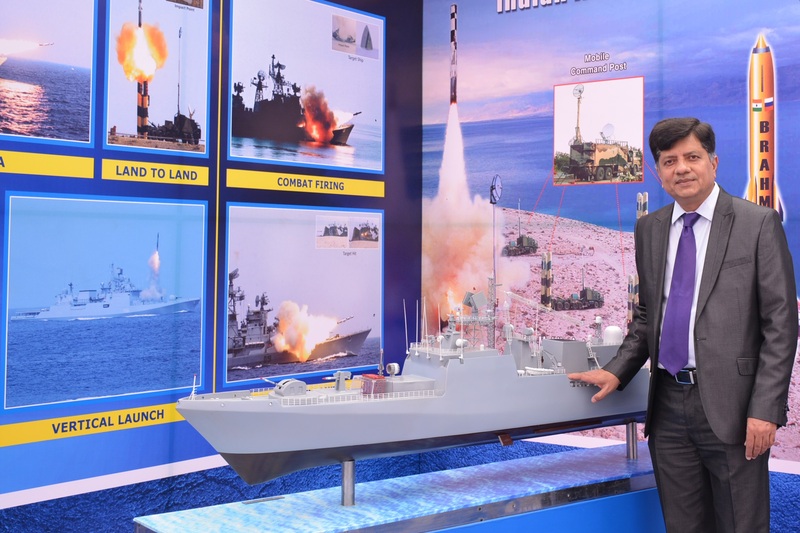 From the side of the platform suppliers, we have spoken to all the submarine manufacturers in the world and they have certified and given in writing that they can integrate BRAHMOS into their platforms without any problem. We have also shared with them the integration data on our design, whether French, German, Russian, Spanish or Indian. What about the air-launched BRAHMOS? That is the real challenge facing us. We are going to launch. Let me just give you the quantum of work. When you want to integrate a weapon on an aircraft, especially a weapon like BRAHMOS which weighs 2,500 kg, and the aircraft is not having any provision to integrate such kind of weapons, then it becomes very challenging. The challenges were, first we have modified the aircraft itself. It means, the platform itself has been modified. HAL Nasik has done a fantastic job. Earlier, Sukhoi Design Bureau, the original manufacturer of the aircraft, asked huge amount of money - they asked for $200 million - and we didn't have that much money to integrate. So, HAL took up this task as an engineering challenge. They took two aircraft, modified and successfully handed over these aircraft during Aero India to BrahMos Aerospace, and now the ASTE of Indian Air Force are flying these modified aircraft successfully without a single problem. It is a great engineering capability that we have achieved. Second is the launcher. The launcher is again composed of electrical and mechanical integration. Then, the missile integration to the launcher and third, is the aerodynamic studies. We have completed the electrical and mechanical integration of launcher with the aircraft. This work has been entirely done by BrahMos Aerospace. We designed the launcher, we integrated the launcher to the aircraft. We have completed the Computational Flow Dynamics analysis, wind tunnel testing for the aircraft, and launcher with the aircraft. Then missile separation from the aircraft. This work has been successfully done by NAL, Bangalore. Apart from this, we completed ground vibration test of the aircraft at HAL Nasik. All of this has given a lot of confidence to us. Now we have flown the launcher also along with the aircraft. We are now implementing the engineering studies to integrate the missile with the launcher and the aircraft. By March-end it will be over. 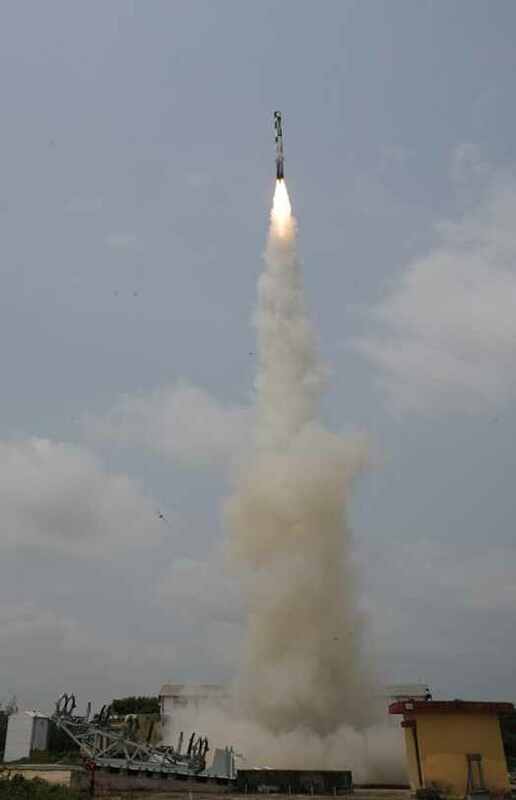 We will go for the instrumented missile flight test to measure various parameters that the missile and the aircraft will be facing while flying. I hope to complete that work by April 2016. Then, we will go for drop test, when a missile model will be dropped from the aircraft and then, we will go for the real launch of the actual missile from the aircraft and that will be by end-2016. The second aircraft is getting modified. As per the contract, we have to demonstrate the flight test from both the aircraft, then only the users will accept the flight test. 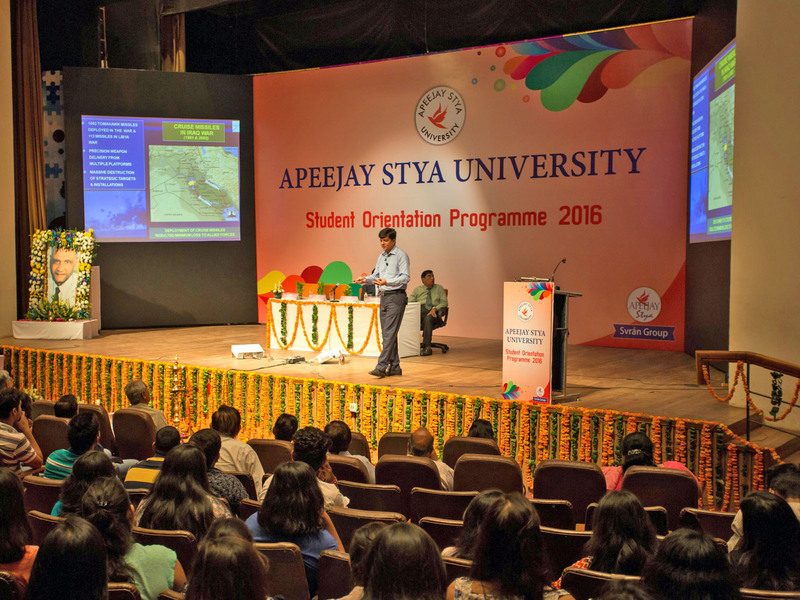 It is going to be a great achievement for aviation scientists and missile engineers. We have never done such a test for such a huge, heavy missile. That will give a lot of satisfaction and confidence to missile technologists, not only in India but all over the world. The launcher that we have designed is the biggest in the world. Once you achieve all these, then would the entire fleet of Sukhois in the Indian Air Force be modified and armed with BRAHMOS? What is the requirement for the air-launched BRAHMOS that has been projected by the Air Force? What will be the difference in the weight of the conventional BRAHMOS and the air-launched version? It is not like this. The users have their own strategy to fit the missiles and it is for them to decide. We will provide them the missiles, the launchers and modification strategy and it is for them to decide. The requirement of the air-launched BRAHMOS will certainly be in large numbers. Because, such kind of efforts need to be economical. The warhead will be the same, but while the original BRAHMOS is about 2,900-kg, the air-launched version will be about 400-kg less, because of some engineering work. There were a lot of interest shown by some friendly nations for BRAHMOS and of course, Russia holds the export control for BRAHMOS? 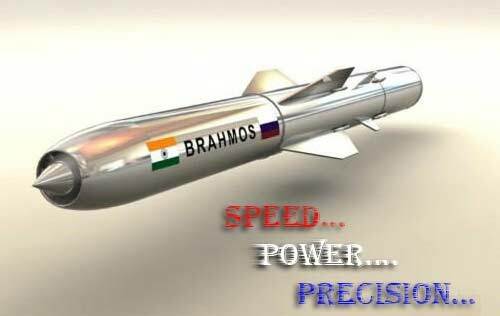 So, are there any talks for exporting of the BRAHMOS? We need support and approval of both the Governments for any export of BRAHMOS. There is an enabling provision already existing in the inter-governmental agreement. As such, there is no legal problem created by either of the partners. We have been working for more than a decade now and we have had no problems either from India or from Russia. It will happen with mutual consent. 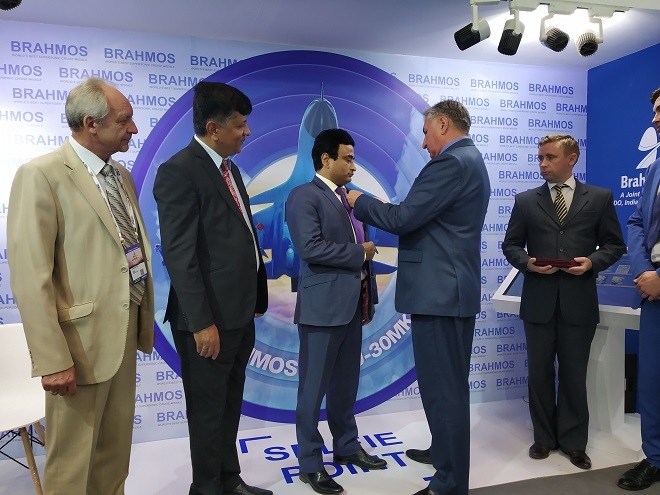 BrahMos Aerospace, being a defence engineering company, will provide competence and capability to both the Governments. We have no problem in upscaling our production. We can do that, because we have excellent supply chain with vendors. Every year, the production number also varies. 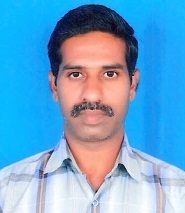 It is for the Governments of India and Russia to decide to whom to export, in how many quantities. We participate in so many exhibitions all over the world and we receive so many delegations from various countries. They show a lot of interest and show a lot of willingness looking at the capability of our weapon. We are ready to meet this challenge of export. It is for both the Governments to decide on whom to supply and how to supply. It is about defense diplomacy policy. 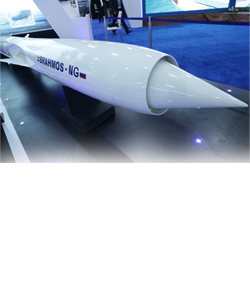 What's your agenda for the future of BrahMos within the intergovernmental agreement? You have orders till 2027 and work till 2036. What's the future and how would you keep BrahMos Aerospace relevant beyond that? The first thing, the order is not going to be stopped at fourth regiment. There will be orders for fifth and sixth regiment also. We know it very well. The second thing is ships would be manufactured and the country would be needing anti-ship missiles. So we would be there. Third, there is also going to be the issue of life-extension of the missile systems that will keep us very busy. Fourth is product support. This is a state-of-the-art missile and it would call for a lot of product support. 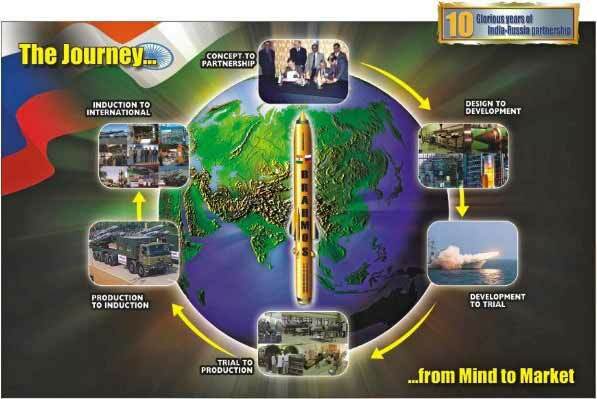 We would be there to provide that support not only for 10 years of the life of the missile -- in some countries, the missile life is 25 to 30 years. Initially, we are offering 10 years and beyond that there will be life extension too. As we discussed earlier, we would like to expand our business from subsonic to hypersonic, to be present in all the domains of speed. That also will give us a lot of business. Technologies are evolving. There are many things we are not able to foresee or predict. So let us wait for a few years. As things evolve, BrahMos being a hi-tech engineering company would be surviving for several decades. BRAHMOS is a very contemporary missile. As of today, we don't see anybody is able to come out with a supersonic engine for another five to 10 years. This engine is a result of engineering research during Soviet Union times. The Soviets have never hesitated in investing in defense. Even today, the USA is still working with a sub-sonic cruise missile. They are putting a solid rocket motor in the terminal stage or booster stage to increase the range or capability. Whereas, ours is a supersonic ramjet. Nobody is having this. Chinese are claiming to have it, but we know that they are not going to have it for another five to seven years. We will continue to have it. Again in hypersonic capability, we will be leading in that front too. So we will be leading in that technology for another 20 years. And hypersonic has no limit. We can go up to seven Mach or nine Mach or eleven Mach. There will be discovery of new material, even new engineering solutions would be available and we may expand to any area. We may expand to UAV also. As of now there is no business plan, but what I am trying to tell you is that we can think of developing a hypersonic UAV too. In fact, Dr. Kalam has given us a dream which will answer your question. Dr. Kalam always told us that we should design, develop and produce a missile that will be long-range, re-usable, hypersonic and cost-effective solution to deliver a warhead anywhere in the world. 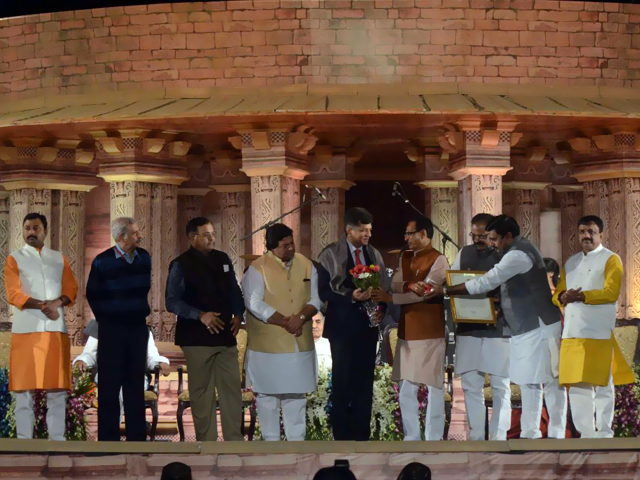 This is a dream and when we move towards this dream, there are going to be thousands of engineering challenges. But, that would only provide us business and that would answer your question. The hypersonic UAVs are actually UCAVs? They are, you can say, but they are not re-usable. We are talking about merging of technologies such as missiles and UAVs. UCAVs are weaponized small aircraft. Sometimes, UCAVs are re-usable and sometimes they are not. We are marrying hypersonic technologies with UAVs or UCAVs, so they can escape if they come under attack? Have you dialogued with the Russians on using your capability in the unmanned category? Is there a spin-off possible? No, we have not. The spin-off possibility is there. But we have not talked or put it in writing or even done any analysis. It makes sense and it is a natural progression. This is one of the most successful JVs that the government of India wants to replicate in several 'Make in India' programs. This means we are successful. We feel that we are on the right path. If the program is replicated, then there will be an opportunity to expand under the existing format itself. Concept-wise, it is very attractive. But, so many developments are taking place and hence we are not able to come up with a definitive plan. It is much smaller in size and range is quite good and it can be launched from several platforms. An aircraft can carry two or three BRAHMOS-NG. It can go into torpedo tubes and smaller ships can use them too. Even a missile boat can carry it. It is miniaturization of the missile and its range will not be affected and it will go the full distance in the ideal trajectory. But in other trajectories, it may reduce. We have not started the programme and it is too early to discuss it. But it is one of the business prospects.